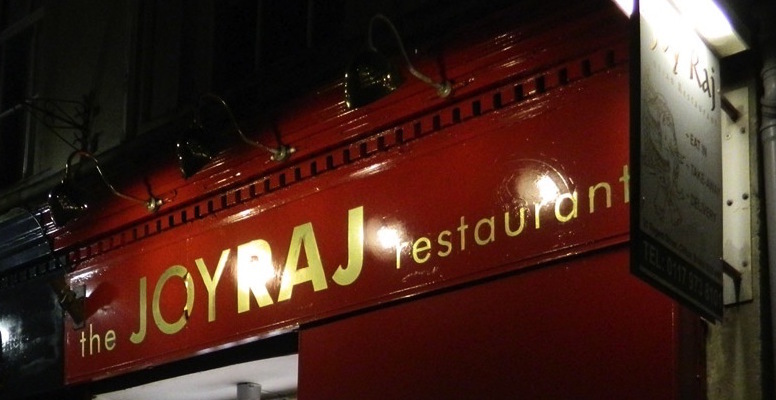 The Joy Raj story began over 20 years ago when we started serving authentic Indian food, with influences from all over India, Bangladesh and Pakistan, here in the heart of Clifton Village. Word soon started to get round locally. Customers were saying that something different was happening on Regent Street and that Clifton finally had the gourmet Indian restaurant it had been missing. Since then we have worked tirelessly to nurture Joy Raj into one of Bristol’s finest Indian food establishments. For over two decades, our chefs have created classical Indian food dishes that remain faithful to authentic recipes which have travelled thousands of miles, and to traditional methods, perfected over hundreds of years. We strive to become a true destination restaurant which people travel miles to visit; one of the best Indian restaurants not only in Bristol but in the whole South West. To achieve this, we aim for the freshest and most locally sourced ingredients possible. Our ethos is to continue to work with our local community to fly the flag for Clifton to raise its profile as a real food hub of the city. In the last 50 years, Indian and more broadly Asian food has experienced a surge in popularity in the UK. It’s possible to buy a version of it in your local supermarket but there really is nothing like the flavour given off by freshly ground spices, and freshly cut, chopped and prepared ingredients. We passionately believe that it is only when whole meals are made freshly on demand — like the ones we serve at Joy Raj — that you get a true taste of Indian, Bangladeshi and Pakistani cuisine; with deep, layered flavours which burst in your mouth and excite the senses. At Joy Raj, throughout the last two decades we have developed the menu to sample dishes from all over these regions — taking those most popular and tasty and adding the kitchen craft of our Joy Raj expertise and flair. We welcome customers from every part of the community, so naturally our chicken and lamb is Halal, a growing requirement for many of our customers. For a truly authentic taste of Indian food, you must come and experience Joy Raj!